Golf Lessons Golf lessons can focus on any area of your game including the swing, long game (driving, fairway woods,long irons) and short game (putting, chipping, pitching and bunker play) All golf Lessons include driving range balls, video analysis and email feedback of the lesson. We have some of the best practice facilities around, including a dedicated short game area and putting green to compliment our driving range. Whatever your lesson requirements, for golf lessons Huddersfield we have your needs covered at Willow Valley Golf. Lesson packages offer savings on the individual prices. A series of lessons can be approached in a structured way, improving and developing your technique lesson by lesson. Experienced coach at all levels. 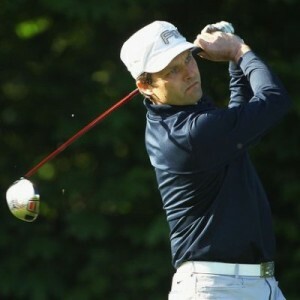 Having coached grass roots juniors in schools with tri – golf and golf extreme he coached the Junior Academy at Willow Valley from 1996 to 2006 with several of those players becoming scratch golfers and golf professionals in their own right. He has coached several Club Professionals over the past 25 years and back during his playing career has received coaching from some of the other top coaches in the country including Peter Cowan, Richard Bradbeer, Graham Walker and Ged Furey. If you’re looking for an experienced coach to cast an eye over your game or you’re new to the game then Julian is a great choice. He’s given over 2000 lessons to beginners during his coaching career and will instantly put you at ease.